Thai honey… I know, big deal right? It is what you do with it that gets really, really good. We were running out of honey so I decided I pick some up at our local farmers market. The vendor had plenty to chose from but we decided to pick up a ‘standard’ batch of local honey. My wife typically uses honey in her teas but I typically use it in my cooking. 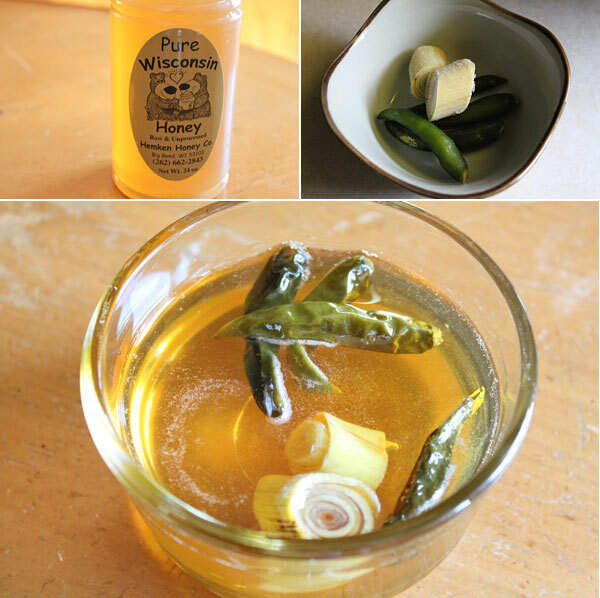 That’s when I thought I would take some of that honey and infuse it with some Thai flavors. This is so easy to make, stores well in the refrigerator, and is perfect drizzled on salads, pizza, or sandwiches. Add the ingredients to a small pot, and cook on low for about 30 minutes. This will allow for those flavors to infuse the honey. Pour into a sealable container, and place in the refrigerator until it is ready to be used. The result is a great, sweet honey with just the right amount of spice. 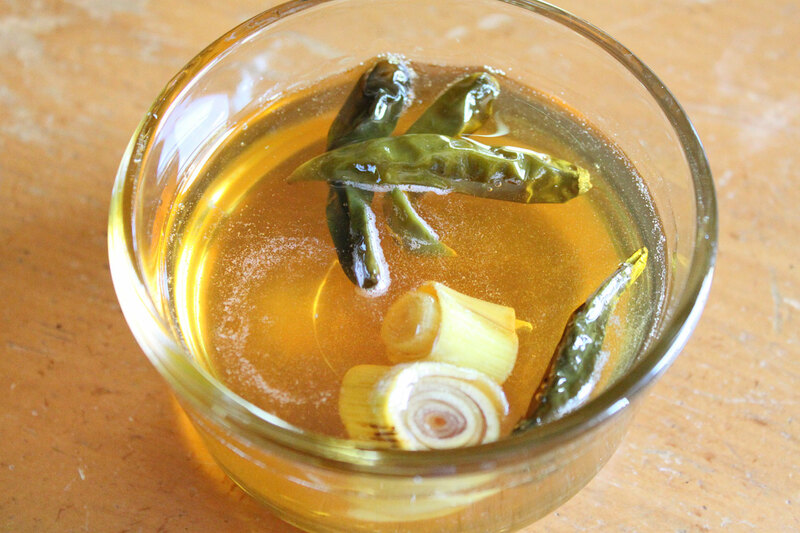 Your guest will be questioning what the heck it is, especially with that note of lemongrass. Hope you enjoy!